Mark joined a Chinese supermarket in 2011 as a sales manager in its sales department. In 2012, he entered into an agreement to buy products from a relative’s company without notifying his employer. The supermarket discovered this one year later, deemed it to be in violation of their Employment Handbook, and decided to rescind Mark’s labor contract. Mark believed that the supermarket had rescinded his labor contract simply because they did not wish to continue employing him. He therefore applied for arbitration, claiming that he had been illegally terminated. Because his employer did not give a written notice to him 30 days in advance, he requested that the supermarket compensate him on the basis of his service period in addition to a severance payment of one month’s wage. The supermarket took the stance that the rescission abided by the PRC’s Labor Contract Law and its Employment Handbook, citing the rule that: “Any person that participates in and/or engages in conflicts of interest with the company without prior notification, as stipulated in the company’s anti-bribery rules, is committing a serious violation. In this instance, [the] company can rescind the labor contract without any severance payment/compensation.” As a result, Mark’s labor contract was legally terminated without compensation. The Arbitration Committee deemed that the rescission of the labor contract was lawful. Because there was a relevant stipulation in the Employment Handbook, Mark’s transaction with his relative offended the company’s interest. It was also in breach of Article 39(2) of the PRC’s Labor Contract Law. The Arbitration Committee therefore did not support Mark’s claim. Whether or not the Employment Handbook is legal and valid. As a sales manager for the supermarket, Mark entered into an agreement with his relative for their own interest without giving any prior notice to his employer. The supermarket provided a transcript which showed that Mark acknowledged he purchased products from his relative’s company at a normal price, but did not report so. The supermarket also provided a record from the Public Security Bureau to prove that the owner of the company was Mark’s relative. Based on the above facts, Mark’s behavior matches the definition of a serious violation as stipulated in the supermarket’s Employment Handbook. In line with Article 4 of the PRC’s Labor Contract Law, when an employer formulates, revises or decides on major matters pertaining to, for example, labor remuneration, working hours, rest periods and off days which directly involve the interests of workers, such matters are discussed by the employee representatives’ congress, or all staff who make proposals and give their opinion, and the employer. The supermarket provided the meeting minutes to demonstrate that they convened the employee representatives’ congress and passed the Employment Handbook, which proves the Employment Handbook is legally formulated. The supermarket provided a record of Mark signing the Employment Handbook. An employer that unilaterally rescinds a labor contract must notify the labor union of the reason beforehand. In this case, the supermarket provided the relevant documents to prove that they sought the opinion of the labor union. According to Article 39(2) of the PRC’s Labor Contract Law, where the worker has committed a serious breach of the employer’s rules, the employer may rescind the labor contract. In this case, Mark committed a serious breach, and the rescission of the labor contract proposed by the employer was therefore lawful. Article 6 in the Law of the People’s Republic of China on Mediation and Arbitration of Labor Disputes states that, where a labor dispute arises, the parties concerned have to provide evidence for their own claims. If an employer intends to rescind the labor contract of an employee with the claim that the employee violated the rules and systems of the employer, they bear the burden of proof on rescission. Whether or not the employer wins this case hinges on providing adequate evidence to prove the rescission is lawful. Based on the above, where an enterprise attempts to rescind a labor contract, we strongly recommend that the enterprise keep all relevant evidence, including the transcripts of conversation, meeting minutes, and receipt of employee signature of the Employment Handbook. Allan Xu worked as an arbitrator in a district Arbitration Institute in Shanghai for seven years. She has dealt with more than 2,000 labor arbitration cases as a labor arbitrator. Allan has a degree in Law from East China University of Political Science and Law, and also holds the Certificate of Lawyer’s Qualification. 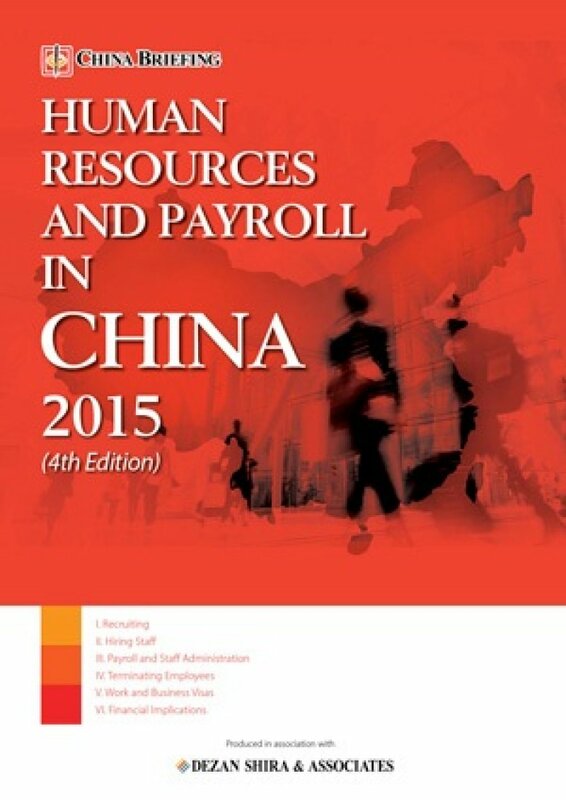 In this issue of China Briefing, we discuss how best to manage HR disputes in China. We begin by highlighting how China’s labor arbitration process – and its legal system in general – widely differs from the West, and then detail the labor disputes that foreign entities are likely to encounter when restructuring their China business. We conclude with a special feature from Business Advisory Manager Allan Xu, who explains the risks and procedures for terminating senior management in China.